According to Hirsch, poetry is not just a part of life - it is life, and expresses like no other art our most sublime emotions. 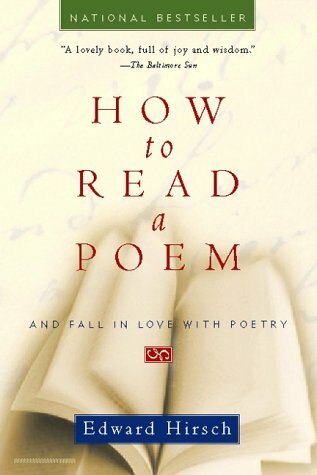 In this book, he shows how to read a poem, covering verse by, among others, Sylvia Plath, Pablo Neruda and Wordsworth. "To the Reader at Parting"